With endless skiing on two mountains it is easy to forget that Whistler offers so many other activities and adventures. Here is a list of some of the many other things to make your holiday memorable in Whistler. 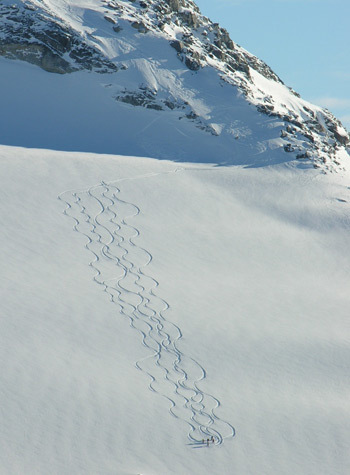 Whistler is home to some great heli skiing and boarding. A variety of companies offer excursions suitable for all groups. Choose from 3 run to 6 run packages. No experience necessary skiers should be intermediate or above. Whistler's family friendly tube park is an experience not to be missed. The park features 1,000 feet of sliding. The 8 lanes are suitable for all types of thrill seekers Green, Blue and Black. This is a great after ski activity as the Tube Park is open after the lifts close. Christmas Eve sleigh rides are available and book up quickly. To guarantee space book your spot today. All guests are requested to read and required to sign a Release of Liability, Waiver of Claims and Indemnification Agreement prior to participating in a Ziptrek or TreeTrek Ecotour. - Guests should be prepared for light physical exertion and informed that the tour includes climbing stairs and some hiking. Cancellations made within 24 hours prior to tour departure will be charged full tour price. Cancellations for groups of 10 or more participants require 72 hours notice or full charges apply. “No shows” will also be charged full tour price. Charges will be applied to the credit card provided. Ziptrek reserves the right to cancel tours due to inclement weather, foreseeable hazards, insufficient bookings, or events beyond our control. In these events, full refunds will be made or alternative dates offered. Dress to be outside for 2.5 - 3 hours comfortably; shorts are fine in warm weather. Ski clothes should be worn in cold weather. Hiking/walking boots or good athletic footwear should be worn. Long hair should be tied back. Bags, purses and backpacks are not allowed on the tour for safety reasons. Waterproof outerwear and snow boots are available for use at no additional charge. Our Guest Services desk is located in the Carleton Lodge, across from the village gondolas. Cameras are encouraged, providing they fit into a zippered pocket. Retrieval efforts will not be made for anything that is dropped during the tour. Gratuities, for excellent service are graciously accepted by Ziptrek’s guides.